Need a game that will keep you entertained and challenged for hours? Let me help you connect the dots—TwoDots, that is. 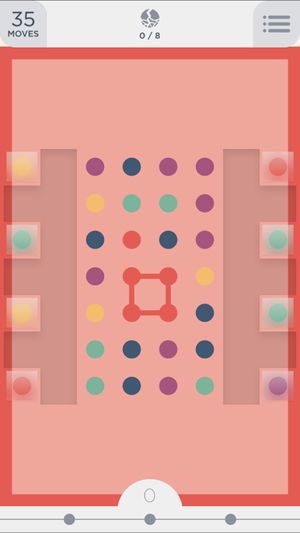 TwoDots is a dot-connecting game reminiscent of more traditional match-three games (think Candy Crush and Bejeweled), but with a twist: instead of matching tiles, you’re connecting dots. Connect groups of same-colored dots. TwoDots isn’t your typical match-three game (if anything, it’s a match-two game). The premise is similar—match two or more same-colored dots to clear them from the board—but instead of swapping tiles, you’re dragging your finger across dots to connect them. You can connect dots vertically or horizontally, but not diagonally, and you may connect as many same-colored dots as you can gather within these constraints. There are a couple of tricks: if you make a square, or a closed loop of at least four dots, you’ll remove all the dots of that color from the board. If you manage to close a loop of dots around another dot, the inside dot(s) will become a bomb, destroying nearby dots as it detonates. Each level has a set of goals (e.g. 50 red dots, 50 blue dots, and 50 yellow dots) and a designated number of moves you can make (e.g. 27 moves). There are no time constraints, but if you fail to meet a level’s goals within its stroke limit, you’ll lose a life. You can have up to five lives at a time, and lives regenerate every 20 minutes. 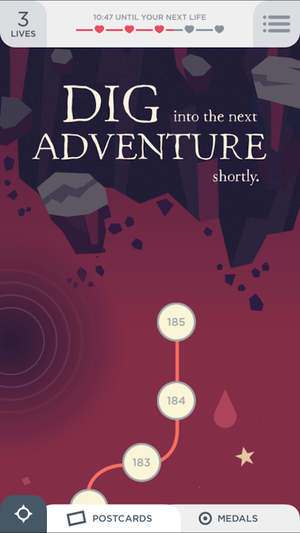 It’s a constant challenge: At the time of this review, TwoDots boasts a ridiculous 185 levels, with more to come. While many match-3 games have seemingly endless, repetitive levels, TwoDots is different—its levels are spread across eight distinct “worlds” (including an ocean world, a desert world, and an outer space world), and each level is uniquely challenging. 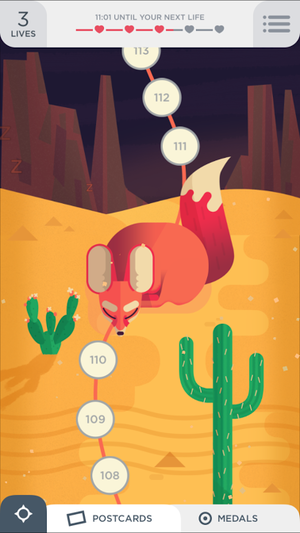 With each new world, TwoDots introduces a new, challenging gameplay element. For example, in the ocean world, the game introduces “anchors”—dots that can’t be connected to other dots, but that simply fall to the bottom of the board. To clear anchors from the board, you must clear the colored dots underneath them. In the winter world, the game introduces icy tiles that must be cracked before they can clear (you have to match dots within the icy tiles several times), and in the fire world the game introduces burning tiles that slowly overtake the board. TwoDots does an excellent job of making each world just long enough for you to get the hang of the new gameplay element, before it throws you into a new world with a newer gameplay element. This guy may not look so tough, but you must beat him to move on to the next world. Cute, quirky visuals: TwoDots’ gameplay is fresh, fun, and different, and so are its visuals. The game features beautiful artwork throughout, from the animated level selection screen to the levels themselves. The level selection screen, which is depicted as a pathway that winds through the eight different worlds, has animated bosses, including a kraken in the ocean world, a yeti in the winter world, and a fennec fox in the desert world. Betaworks One clearly wanted to make each world feel like a completely different experience, and the individual levels in TwoDots reflect this. The ocean world levels, for example, feature a blue wavy background and bold, brightly colored dots, while the winter world levels have an icy-white background and more muted dots. With each new world you enter, you almost feel like you’re playing an entirely new game. Different worlds have their own feel and introduce new gameplay elements. 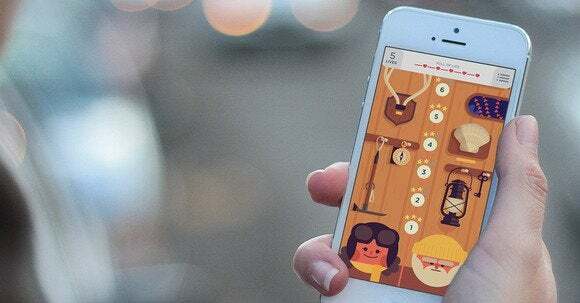 Freemium without the frustration: TwoDots is a freemium game, which means there are in-app purchases available: you can buy extra lives, crates, and power-ups to help you on your journey. But I like TwoDots’ approach to freemium better than other, similar games’ approaches. Other games typically give you a certain number of tokens, or turns, which are used up as you play the game (and replenish slowly, in an effort to get you to buy more turns). 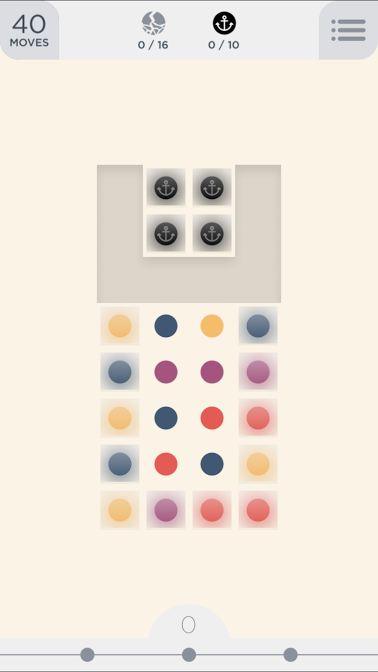 TwoDots, however, follows part of the Candy Crush model. It gives you a certain number of lives (five), which are only used up when you fail to complete a level—you can play as many levels as you want…as long as you keep winning. This means you can play through an easy spat of levels (such as the first 20 or so levels) without having to wait for turns to replenish. It’s only when you get stuck on a difficult level that you’ll find yourself live-less and waiting, and by then it’s probably a good time to take a break anyway. TwoDots does have in-app purchases, but they’re by no means required, although not buying power-ups means some levels will be particularly tough to crack.